In early July, while thousands of Alaskans were out on the water fishing, the U.S. House of Representatives narrowly passed H.R. 200, the "Strengthening Fishing Communities and Increasing Flexibility in Fisheries Management Act." Congressman Don Young — who introduced H.R. 200 — said leading up to the House's vote, "Partisan rancor may be standard operating procedure for most of Washington, D.C., but let's not allow it to unravel the progress we've made for our country's vital fisheries." I couldn't agree more, and I appreciate Congressman Young's commitment to nonpartisan fisheries management. I, and most other fishermen here in Alaska, agree that fisheries management should not be a matter of politics, but instead a matter of what's best for the fish and people who depend on them most. That's why so many of us in the commercial fishing, sportfishing and food service industries opposed Congressman Young's proposed bill. Our opposition is not a matter of politics or disrespect to our elected officials, but instead that of survival. H.R. 200 was intended as an update to the Magnuson-Stevens Fishery Conservation and Management Act (MSA), which was first passed in 1976 and was last reauthorized in 2006. Since 1976, the MSA has provided the science-based framework for our federal fisheries management. 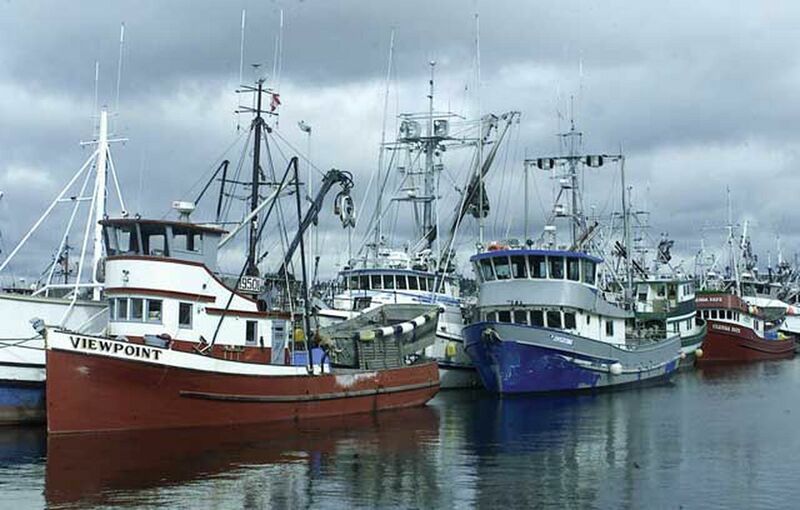 During the last reauthorization in 2006, amendments to the MSA took Alaska's successful model of scientifically derived annual catch limits and applied it at a national scale. These amendments led to the recovery of 44 fish stocks around the country and have resulted in increased economic opportunities for fishermen, with commercial and recreational saltwater fisheries generating $208 billion in sales in 2015. H.R. 200 takes a giant step backward by opening the door for certain fishing sectors to exceed annual catch limits, jeopardizing the future for our fish, and increasing uncertainty for Alaska's fishermen. While we should always strive to improve our laws, we should not be changing the MSA's actual foundation. Instead, we should be remodeling the kitchen, repairing the roof, and making other updates that don't change the actual framework of a law that's already proven effective and beneficial to the American public. We should be bolstering the core principles that have made the MSA such an effective management tool: shared accountability among all user groups to meet annual catch limits, accurate and timely data collection and sharing, and science-based fishery management that prioritizes conservation. While H.R. 200 claims to make positive improvement to the MSA, it's worrisome that the primary drivers behind H.R. 200 were in fact foreign corporations — like Yamaha — that dumped hundreds of thousands of dollars into lobbying Congress. In addition, H.R. 200 managed to divide our nation's fishing stakeholders at a time when we need to be coming together to address the daunting changes and uncertainty facing our marine ecosystems due to climate change. We all have a stake in the health of our oceans, and we all need to take responsibility for safeguarding the ocean for future generations. As the MSA debate shifts to the U.S. Senate, I and many others urge Alaska's senators to help lead the discussion. We ask that our senators continue Alaska's MSA legacy by proposing reauthorization legislation that recommits to science-based fisheries management and holds all sectors accountable for resource conservation. We need an MSA that maintains a solid federal framework and empowers local communities to manage and rebuild local fish populations in a way that increases opportunity and access for all stakeholders, not just those with deep pockets. We need an MSA that continues — instead of jeopardizes — the legacy that Congressman Young himself helped create. Carolyn Nichols is from Sitka, where she has lived for more than 30 years and has made her living commercial fishing for halibut, sablefish, and salmon.